An elegant booklet to create a flight of 10 Butterflies. Choose the model of your favorite Magic Butterfly, wind them up 40 to 50 tours and insert them inside the booklet (1 butterfly per page). Multiply booklets to create more and more magic! 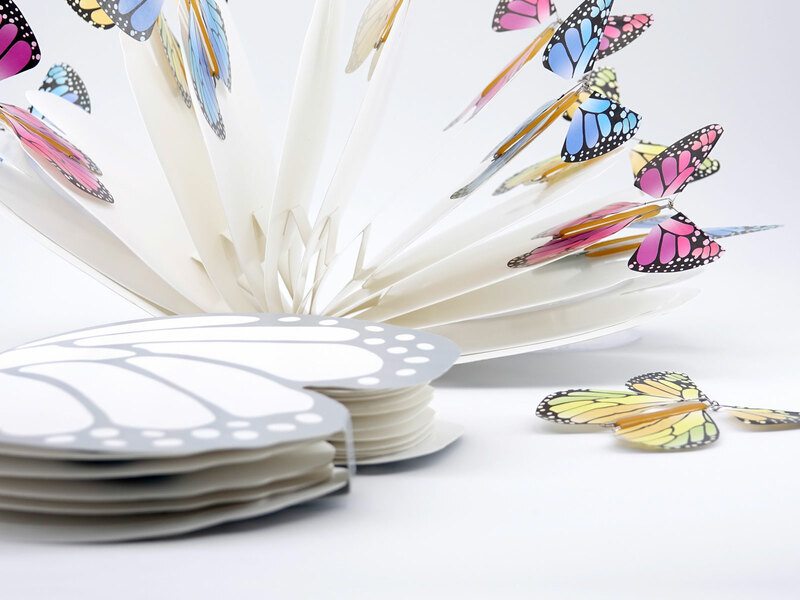 The Butterfly Booklet will accompany all your main events (wedding, birthday, fairs, inauguration...). 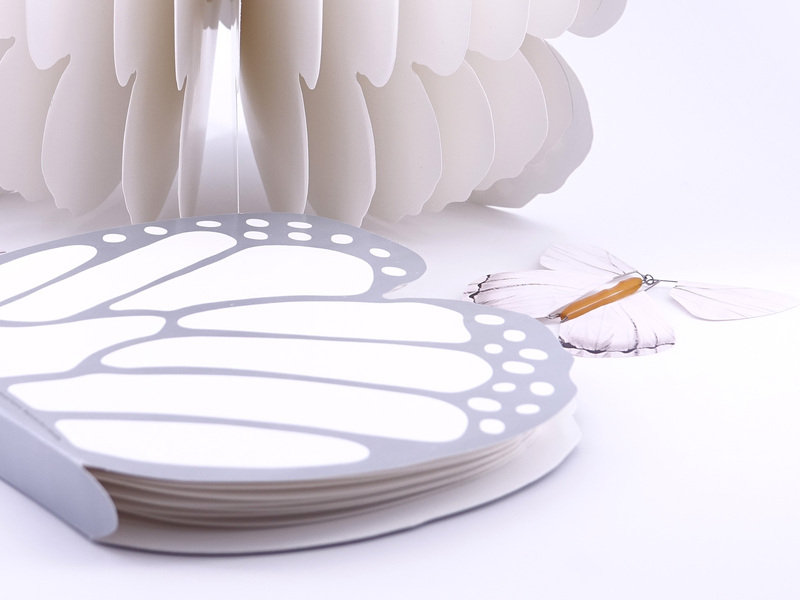 With its elegant design, this booklet in the shape of a Butterfly releases a flight of 10 Magic Butterflies in the air. Add our butterfly cards for more magic. 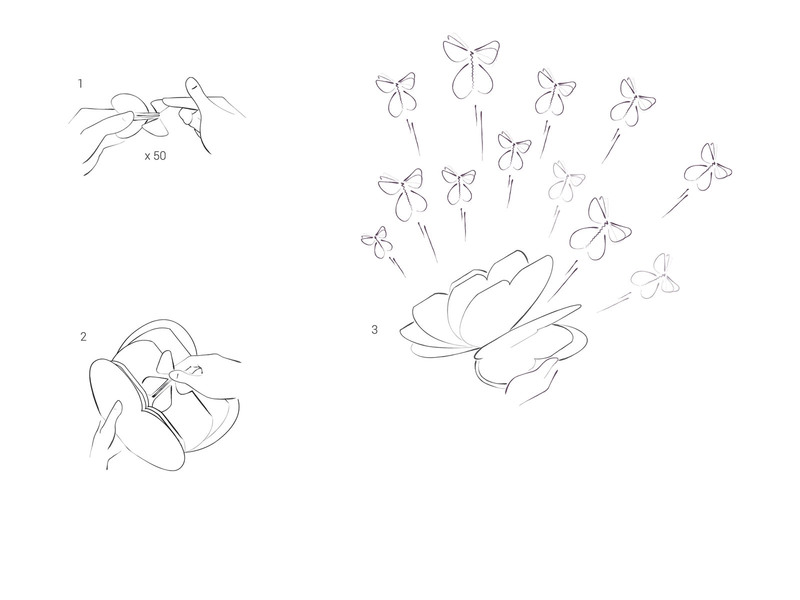 Don't forget to adjust the number of butterflies! Click on Add to my basket to choose your favorite Magic Butterflies and oder your Butterfly Booklet. 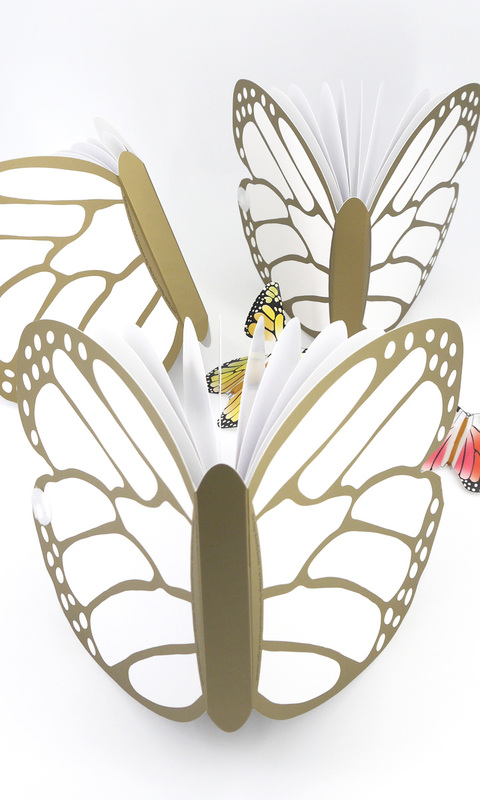 When you add your booklets and then your butterflies into your basket, in a first time the butterflies are be charged. But don't worry, at the same time there is a discount equivalent to the price of the butterflies that will be applied automatically! We are actively working on improving this module and we will provide you with a simpler solution shortly. Thank you for your patience and do not hesitate to contact us in case of doubt at +33 4 90 94 31 00.